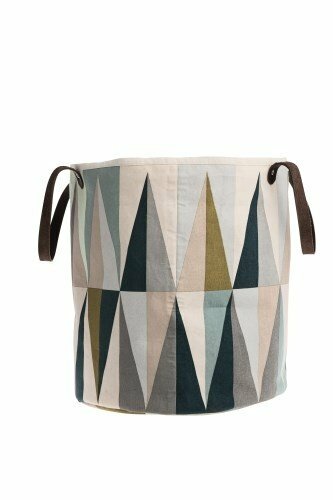 Gorgeous basket by Ferm Living. We love this print! Use it as a laundry basket or a toy basket, either way works. The lining is a non woven fabric that's easy to clean and won't get dirty too quickly. 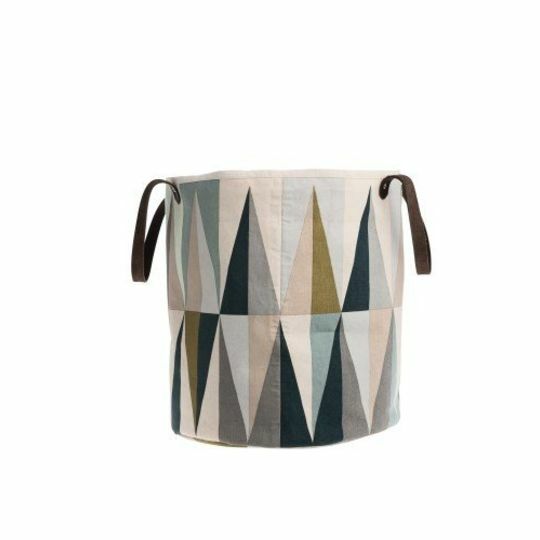 Made out of 100% organic cotton and has leather handles.